Company information | SANKO Co.,Ltd. we believe that company should be made up on relationship of mutual trust with stakeholder. And also we are confident the relationship of mutual trust will be built by all company member’s belief, maximum imaginative power and action. We swear our best effort to meet stakeholder’s expectation certainly, and supply best known method that stakeholder can realize their own purpose. Changing company name SANKO Co.,Ltd. refractory ceramics for oxided crystal CZ tools and semiconductor tools. Started special heat exfoliation cleaning business. 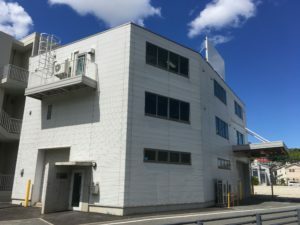 Established new facility TOYAMA Development Center. Established SANKO KYUSHU TEC Co.,Ltd. Established SANKO TOYAMA Center Co.,Ltd. Changed representative director of SANKO Co.,Ltd.